This past week has been fair to good for both salmon and sturgeon, we are still working hard for our fish but if you are willing to put the time in, the rewards have been great. The Fraser closes for salmon fishing at the end of today and will re-open towards the end of October. The good news is that we can fish salmon on the Harrison, Stave and Sumas which is just starting to see some fish migrate into those rivers. We have been targeting Coho in several tributaries having some good success casting GibbsDelta spoons. Our favorite is the Hammered Brass Red Fire Stripe but any of the croc colors will work once you have found the fish. I also like casting the GibbsDelta Colorado blades especially in shallow water like you will find in the Sumas Canal or lower Vedder Canal. We will continue to offer our salmon/sturgeon combo trips right through until the end of the season as more fish continue to migrate into these local rivers. The GibbsDelta Ironhead and Ultra Lures also work well for Coho as seen in this pic, the key is having the correct retrieval speed, slow, slow and slower. 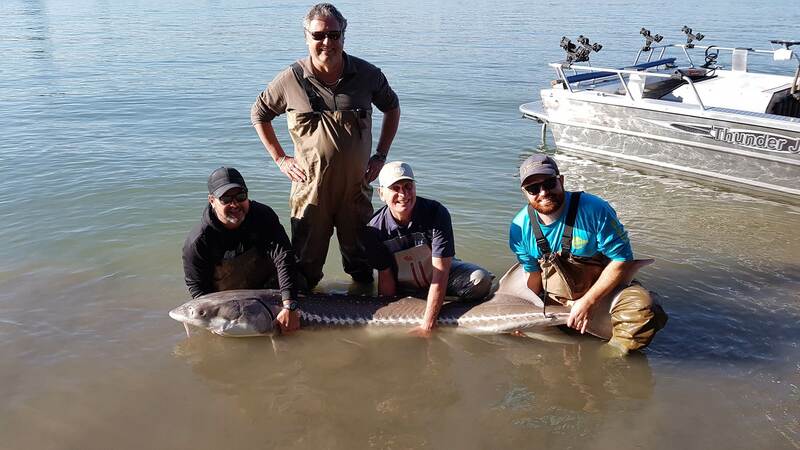 Sturgeon fishing is picking up again, still working hard for our fish but they are plenty of fish out there to catch. Best baits have been Lamprey, Salmon Eggs and Sockeye heads but you can throw just about anything at them right now, you just need to find feeding sturgeon and drop the bait on their nose. 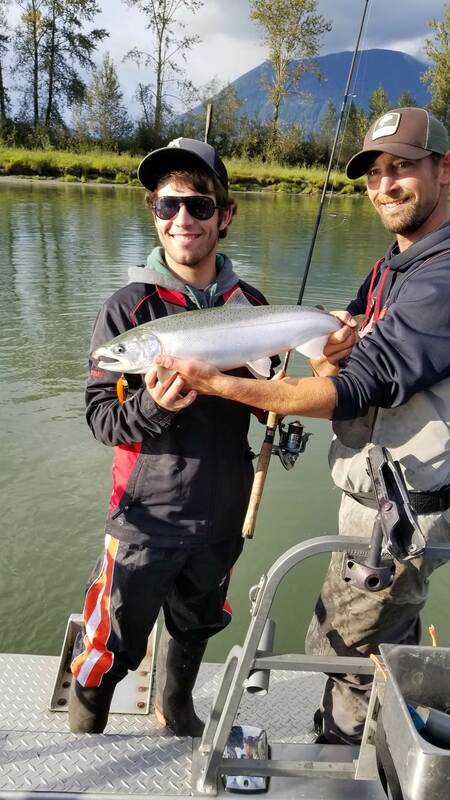 Local rivers like the Vedder, Harrison and Chehalis are all producing salmon catches right now, if your heading onto local flows, try float fishing with the GibbsDelta Colorado blades under the float, it works well especially at first light or late evening before the sun goes down. 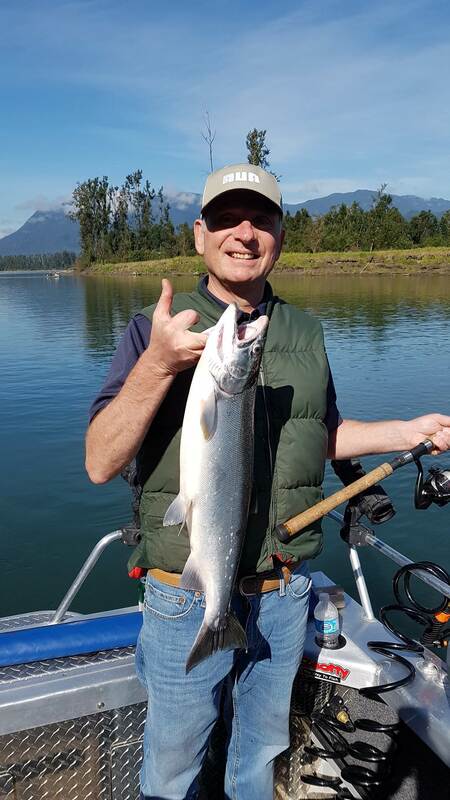 There is still some great fishing to come so get them rods out of the closet and enjoy the great salmon fishing to come.